At first glance, to study superpower cooperation during the Cold War may seem strange, even absurd. There is a strong conviction among both scholars and practitioners that the Cold War is a classical example of a zero-sum game where the gain (perceived as real) of one is viewed as a loss by the other. 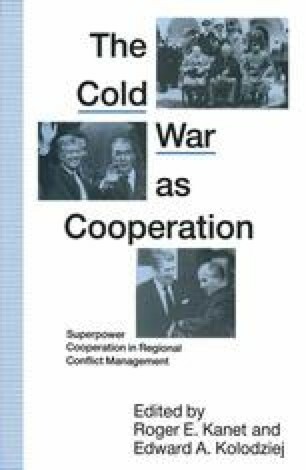 Indeed, the Cold War, during which several crises arose that nearly led to war, appears to be the antithesis of cooperation. Although there are evident cases of cooperation — for example, the Geneva conferences of 1953 and 1954 and the Austrian State Treaty of 1955 — these were largely regarded as exceptions from the norms of the late 1940s and 1950s. In the historical analysis of that period, they were largely discounted as anomalies or disregarded or overlooked. The so-called traditional rationale of the Cold War makes the study of superpower cooperation essentially irrelevant.